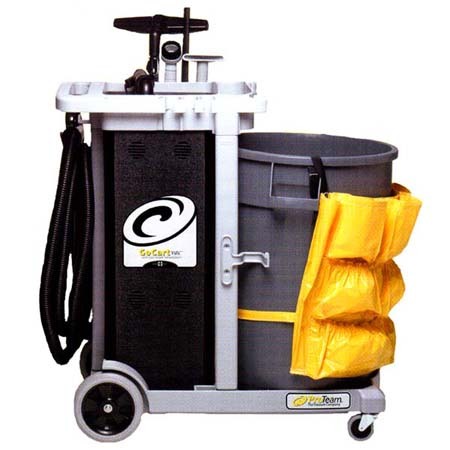 The PROTEAM GOCART VAC is a battery powered vacuum. The large rear wheels and small casters aid in maneuvering the unit on the cart. The large trash bin on the front of the unit increases productivity by not dumping as frequently.